Less than five years after Gov. 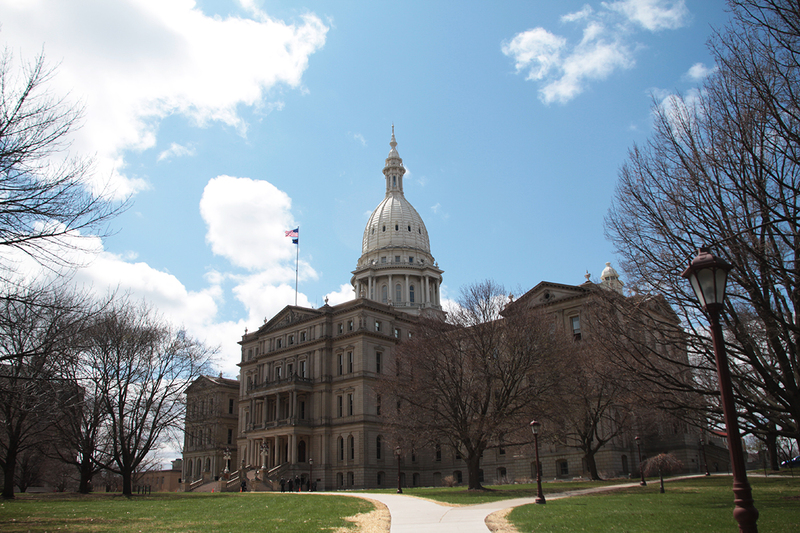 Rick Snyder and the Legislature pulled the plug on the state’s Michigan Economic Growth Authority corporate handout program, many Lansing politicians are eager to increase the size and number of favors they can provide. The governor is pressing for a July 12 vote by the Legislature on a new MEGA of sorts that will give politicians one more device for providing financial favors to a favored few. Legislators should not agree to this. Such programs are demonstrably ineffective, expensive and unfair. Senate bills awaiting action in the House and sold as “Good Jobs for Michigan” amount to a state tax “capture” program that allows a lucky few corporations chosen by state bureaucrats to enjoy special tax treatment under the law. This is the new part of the proposal. The rest reads like a cut-and-paste job from the original MEGA law, passed in 1995. For instance, both the old MEGA law and new jobs proposal contain language that the “expansion or location of the eligible business will benefit the people of this state by increasing opportunities for employment and by strengthening the economy of this state.” Yet this promise is empty. By one estimate, only 2.3 percent of MEGA deals met their original promises from 2005 through 2011. There have been five formal studies done on the program and four showed a zero-to-negative impact despite spending billions. In 2016 alone, MEGA cost the treasury $1 billion, roughly equal to all the money generated by the state’s corporate income tax payers. MEGA is not the state’s only failed attempt at job creation and business and industry attraction. The state wasted $500 million subsidizing Hollywood. It spent more than $14 million on rural broadband deployment through a program that was supposed to create 500,000 new jobs by 2010. Studies by university scholars published in academic journals also largely take a dim view of state and local economic development programs. One 2014 study of the Promoting Employment Across Kansas initiative is particularly noteworthy. Kansas operates a state tax capture scheme similar to the Good Jobs proposal. Scholar Nathan Jenson examined the program and found that firms which received incentives under the PEAK program were no more likely to create new jobs than like firms which had not gotten tax favors. Another study worth mentioning is a 2004 analysis of academic literature reviews about state and local economic development programs. The authors, Peter Fishers and Alan Peters, titled their review “The Failures of Economic Development.” These scholars report, after noting hundreds of studies have been done on the subject, that claims that economic development programs spur growth or are a fiscal plus for governments operating them are probably false. No scholarship to my knowledge has been cited in favor of the new Good Jobs for Michigan proposal, although proponents had the chance to do so at a June 14 House Tax Committee hearing. Despite 14 people testifying in favor of the bill — the proposal’s primary sponsor, a mayor, and economic development officials, not one offered any evidence aside from personal anecdotes. Nor did any explain how this program would be a success where other programs — such as the MEGA program, several admitted — had failed. Lawmakers should reject this parade of corporatist philosophy and make decisions based on rational arguments that are steeped in scholarly evidence. The Good Jobs for Michigan proposal should go the way of MEGA, film subsidies and rural broadband deployment before it has the chance to do any damage. Why did the Governor Flip Flop on Corporate Welfare?